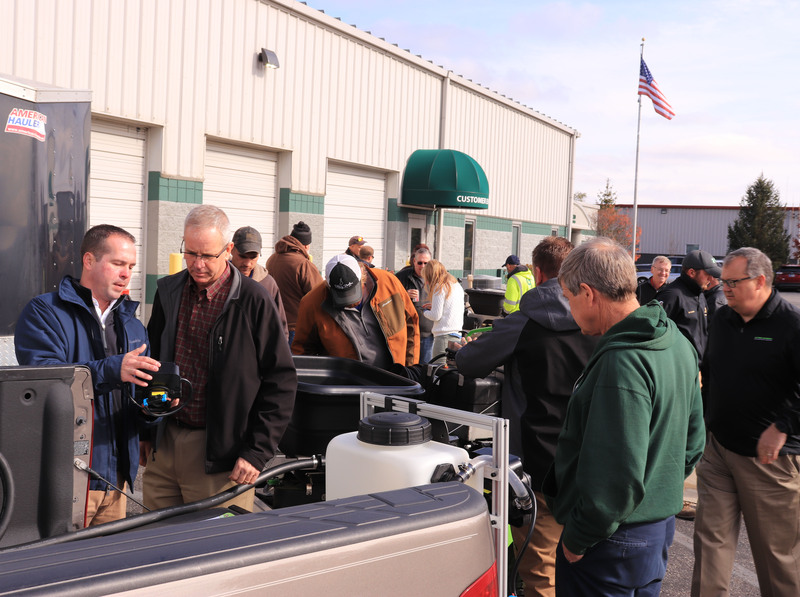 It has been an exciting November as Dura Products joined Advanced Turf Solutions to demonstrate Steel Green Manufacturing’s Ride-On Turf Sprayer. 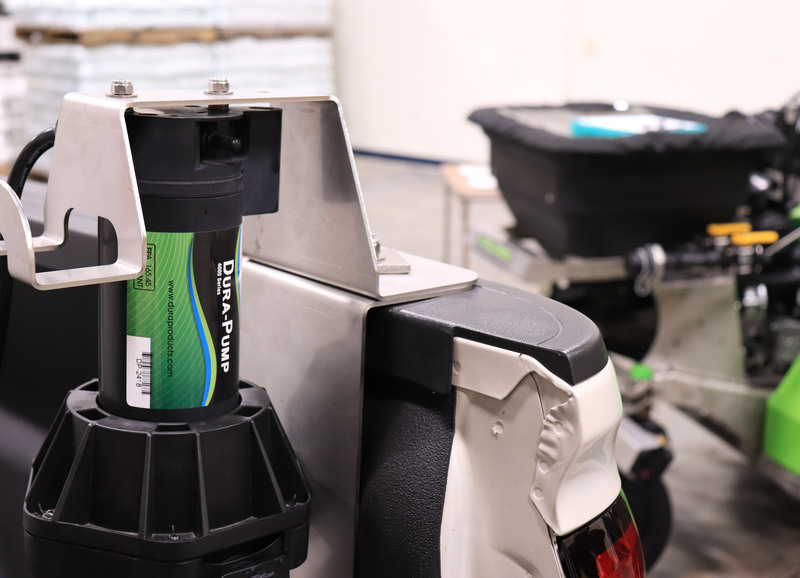 During these event’s Dura Products has received the opportunity to showcase our Bolt on Dura-PROfill™ after-market accessory kit for the sprayer. Protection is our goal for the Turf market with the Dura-PROfill™. It allows customers to not only protect the environment from off-target chemical exposure, but to also be responsible and show a more professional image. 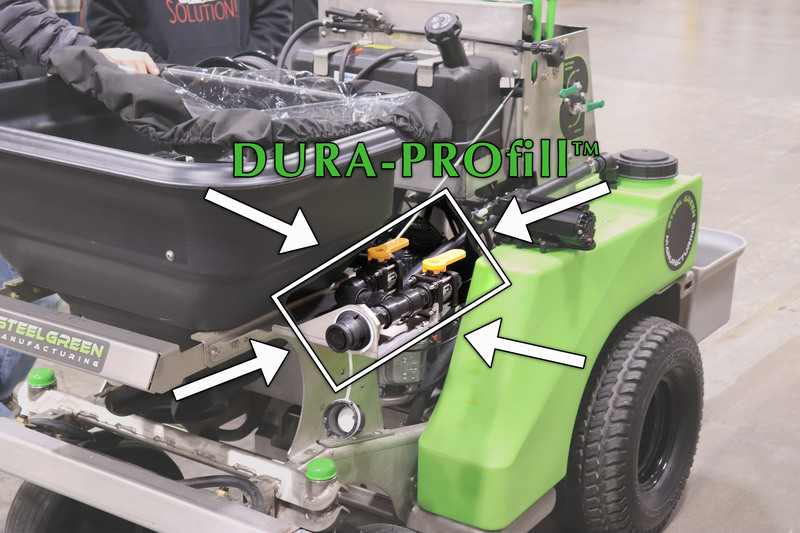 The Dura-PROfill™ has a singular fill point with closed system connections yielding a drip-free transfer. Inside the supply tanks, you'll find float valves that ensure tanks fill completely avoiding spills from an overfill. This protects the applicator and the environment from off-target chemical exposure. Productivity is enhanced with the Dura-PROfill™ high flow Dura-Pump. The Dura-Pump can be installed in the bed of your pickup or inside a personal trailer. This device provides faster fill times and efficiencies. The sprayer is filled while the applicator can multi-task without concern of environmental or personal herbicide exposure. Proficiency increases with the Dura-PROfill™. The system has the ability to easily recirculate product in the supply tank. This provides optimal mixture for the best application. Your saving time and providing a more effective product to your customer. Professionalism is foremost with a closed-fill system - a hallmark of good stewardship and, compliance. With a Dura-PROfill™ system, responsible business practices enhances your image pays dividends through customer retention and referrals. 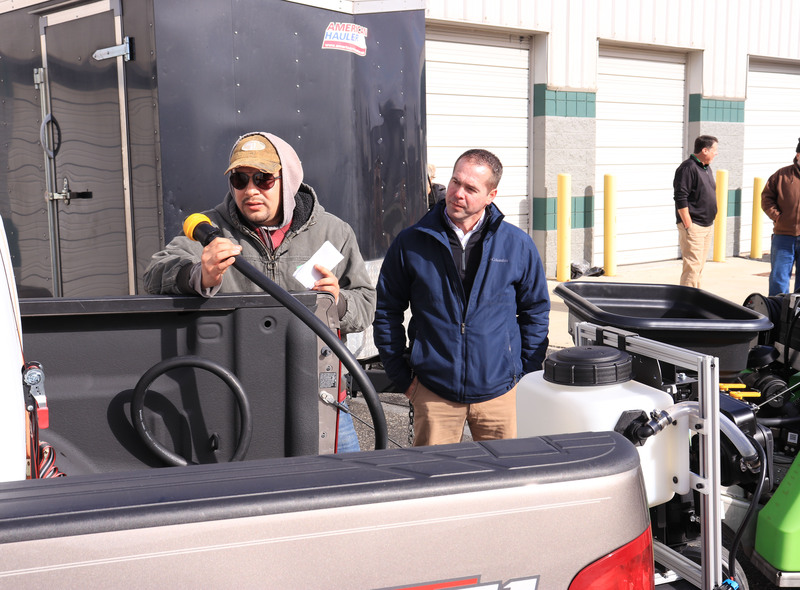 We're excited to have this opportunity working with Advanced Turf Solutions and Steel Green Manufacturing as they continue demonstrating their sprayer across the U.S. for the remainder of the year. Make sure to connect with us on Social Media (@duraproducts) or (@productsdura on twitter), - as well as Advanced Turf Solutions/Steel Green Manufacturing. Look for additional release dates for upcoming Demo Day's near you. If you have any questions, contact us via social media or call our office at 855-502-3872. It's our pleasure to help you protect the environment, increase productivity, enhance your proficiency, and shine as a professional in the turf industry.